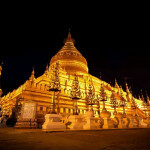 For Mandalay Travel Blog, at a glance, may sounds unfamiliar and might refer to a new established city which contradicts to the years of its erection since 1857 by King Mindon, who remodeled the city back to life. Mandalay is the second largest city of Myanmar after Yangon, and is a former royal capital before the British defeated the Upper Burma in 1885. The city was named after the Mandalay Hill emphasizing some significant elements Mandalay hold. 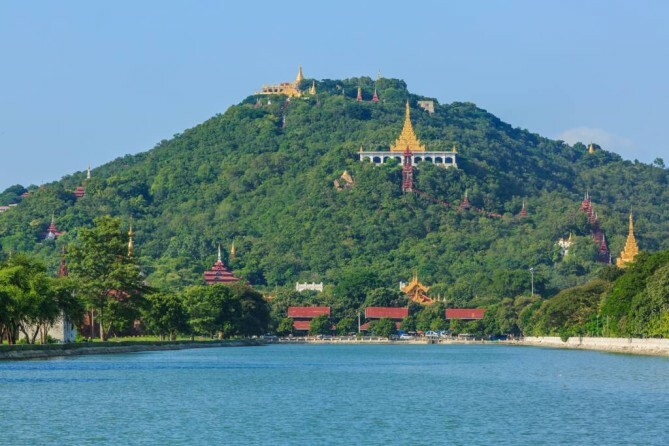 And that element speaks of the city’s greatest strength that every traveler should know about – reach the Mandalay hilltop to get breathtaking view of sunset or sunrise. During 27 years of splendor, some parts of Mandalay were wrecked as a result of the Second World War and the fire. However, something has replaced what has been lost. Despite the flourish of Nay Pyi Taw and Yangon, Mandalay outperforms them in terms of being the epicenter in commerce, education and healthcare toward the Upper Burma. Civilization finds a way to sit right at Mandalay thanks to the inflow of population from Yunnan in the past 20 years. Mandalay is able to raise its commerce opportunities with China, as well as extend its prosperous trade center to India. Mandalay is a small nation that hides great impressions. 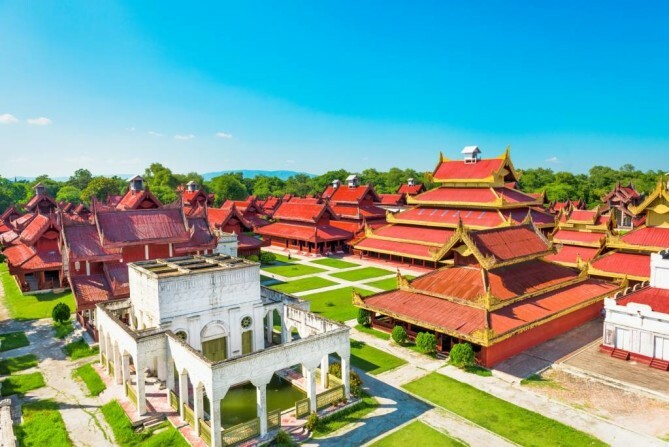 The size of Mandalay Palace is a clear evidence to Mandalay’s heyday and is one of the places to visit in Mandalay that’s very famous for outsiders. 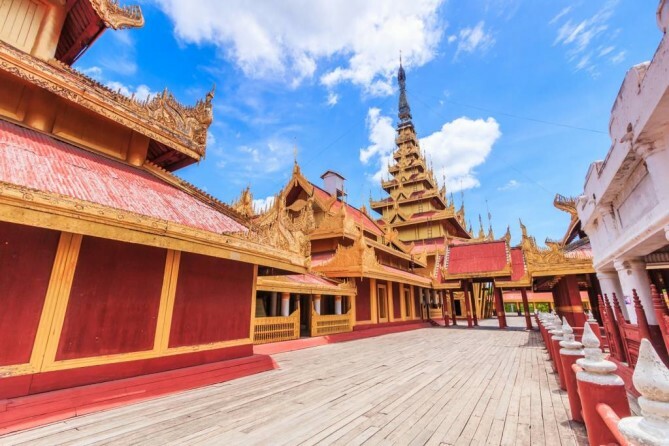 Behind exquisite reddish timber edifice, the palace unfolds stories that Burmese don’t want to talk much about it, the murder of the royal family. History has it that the royal came to an end in 1885 when the King unwillingly surrendered to the British armed forces. Among all victories, the acquisition of the Royal Palace was superior. Even up until today, the Royal Palace still dominates the city center on a grand scale. Saying that it is measured 2 kilometers long on each side, it altogether formed a huge square. Visitors are yet allowed to use only the eastern entrance to get in which is surprisingly not a side where most of the hotels are. Mandalay Palace will no longer be under intrusion of anyone else. It is now safe and sound in local’s hand. 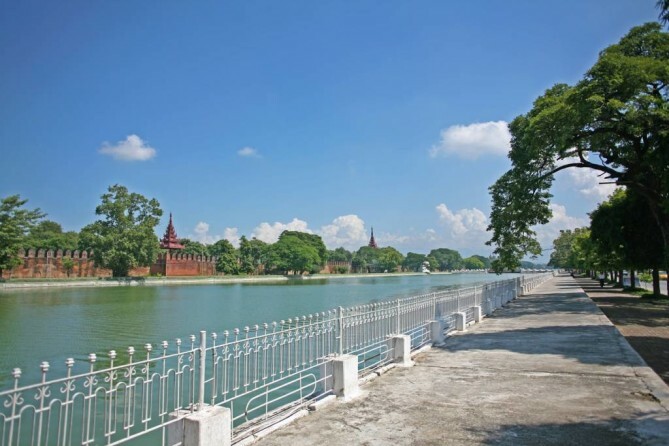 Anyone coming to this city, as recommended by this Mandalay travel blog, shall not miss a visit to where the city got its name, Mandalay Hill. 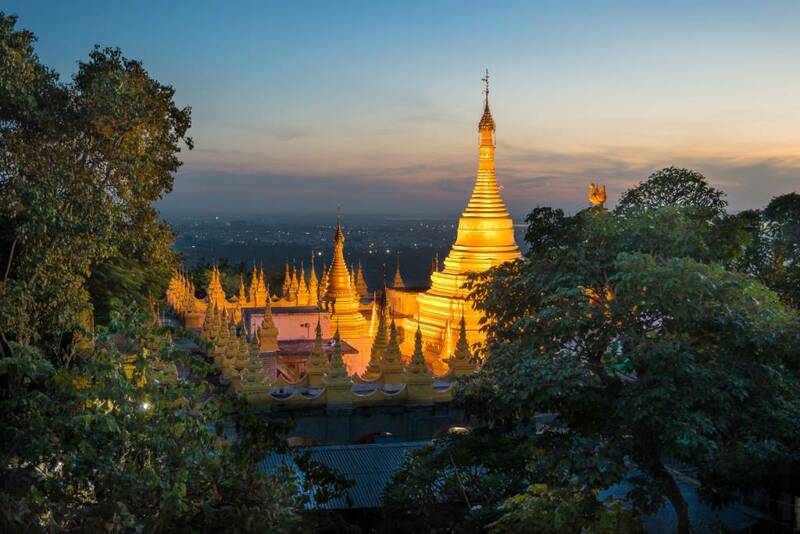 Rising straight 230 meters out of ground, Mandalay Hill is able to provide all sightseers to clearly see the city’s flat terrain as well as the royal palace and fortress. 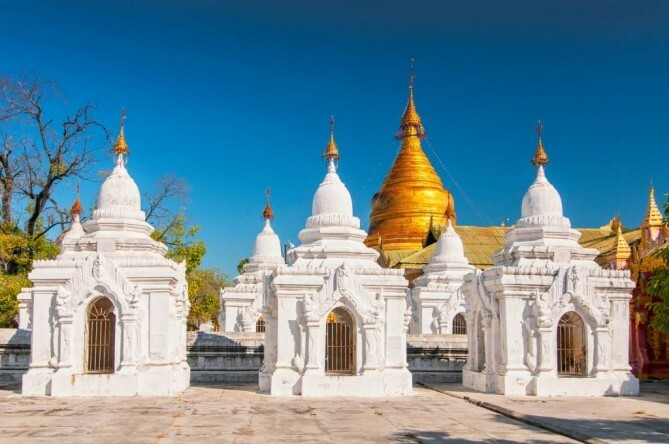 Mandalay Hill is a sacred hill since it is dotted with numerous Buddha images and pagodas scattered throughout worth paying homage to, one of the things to do in Mandalay. Going up the stairs with 1,729 steps, it reveals you the true star of the show, which is the Su Taung Pyi Pagoda (wish-granting) standing gracefully on top. Mandalay Hill is also where history of Mandalay began. Legend has it that the Buddha with his disciple Ananda once visited Mandalay. At the time he stood up there overlooking downwards, he made prophecy regarding building a great city at the foothill. No wonder the prophecy has come true. More importantly, the mighty Buddha image was built exactly upon the same standing position with his fingers pointed towards the Royal Palace. Life seems slower than it is at one of the most iconic tourist attractions in this Mandalay travel blog. 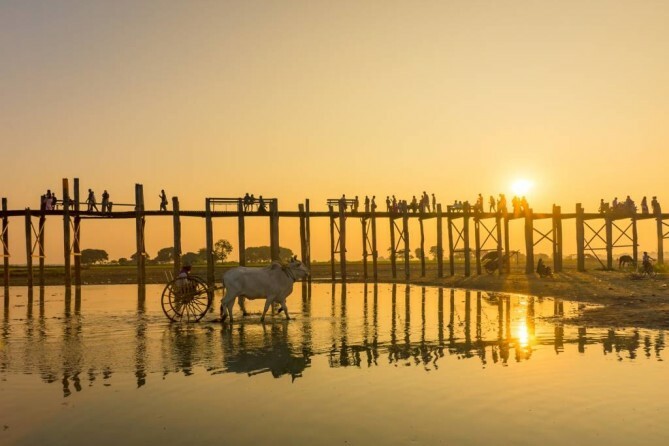 U Bein Bridge is the world’s longest and oldest teak footbridge. 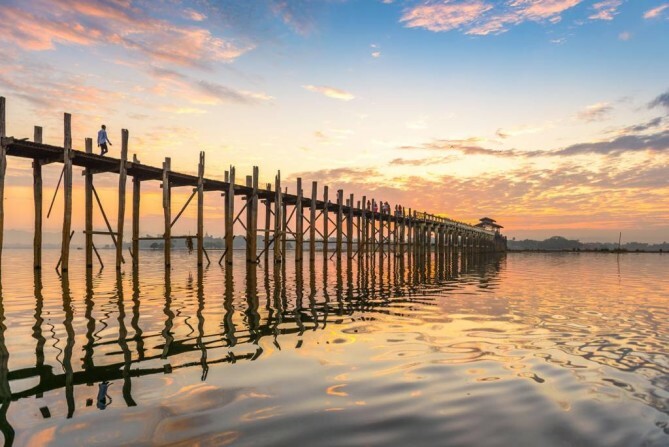 The wooden bridge stretches over 1.2 km across the shallow Taungthaman Lake with one of its side heading toward Kyauktawgyi Paya (another famous temple). Built in 1850, it took 1,086 woods remaining from the royal palace to finish the bridge construction. U Bein Bridge has become indispensable to the community where villagers spending time here more so than promenading in a shopping mall. As one of the places to visit in Mandalay, you will not short of things to do at U Bein Bridge whether it be appreciating the beauty of the lagoon, taking a stroll along the bridge and observing local Burmese lifestyle such as monks and villagers commute back and forth, Burmese biking across one end to another, fisherman with his fishnet in the still lake. Hours during sunset and sunrise are magic moments of serenity, while the air is fresh too. The best snapshot of authentic Burmese life is afforded by hiring a boat so as to see this iconic teak footbridge from the water. Had the structure been finished, it would have been rivaled the size of the Great Pyramid of Giza. Follow today’s Mandalay travel blog to find out how big is the size if the construction had been completed. 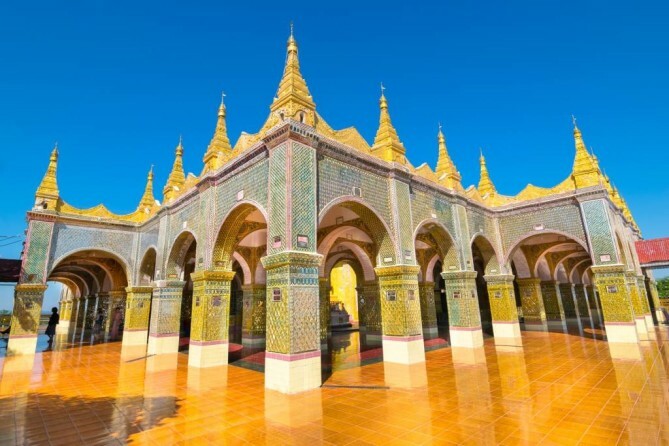 The Mingun Pagoda, with only 1 out of 3 of its expected completion, is ranked the world’s largest pile of bricks and paying a visit is one of the things to do in Mandalay. 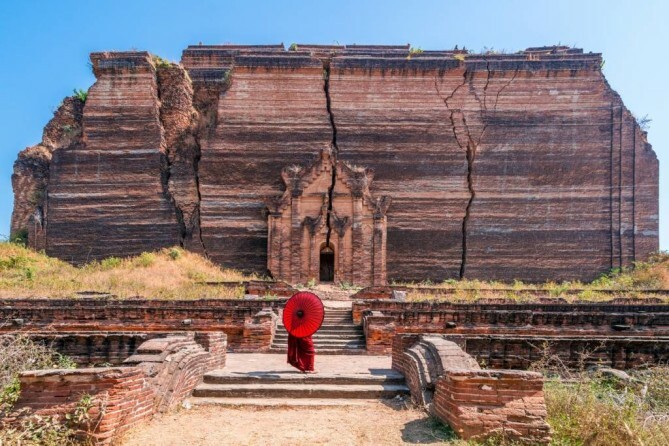 Traveling up northwest 40 km from Central Myanmar, it is where this mighty pagoda left unfinished. Built in 1790, King Bodawpaya initiated this project to enshrine the Buddha tooth relics received from China. During construction, most labors were prisoners and slaves spending 7 years in building the monument until reached one-third of its original model, 50 meters tall and 70 meters wide. The construction process went unfavorable among people and the state. 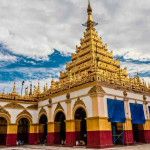 Thus, a prophecy allegedly played with the King’s superstitious nature had been emerged saying that ‘Once the pagoda is finished, his Kingdom would come to an end’. Fearing that the power would be gone, the project was slowed and finally halted when the King died. 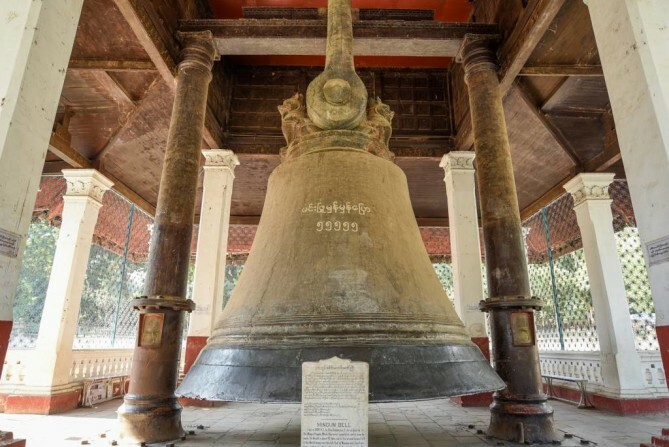 Before leaving, do not miss to drop by at the world’s largest ringing bell, which is only a short walk from the paya. Its grand scale and antiqueness surely make it a sight worth seeing. Have you ever been curious about what the world’s largest book looks like? If so, then Kuthodaw Pagoda is the place to be. The pagoda is easy to notice locating magnificently at the foot of Mandalay Hill, right at the base of its southeast stairways. 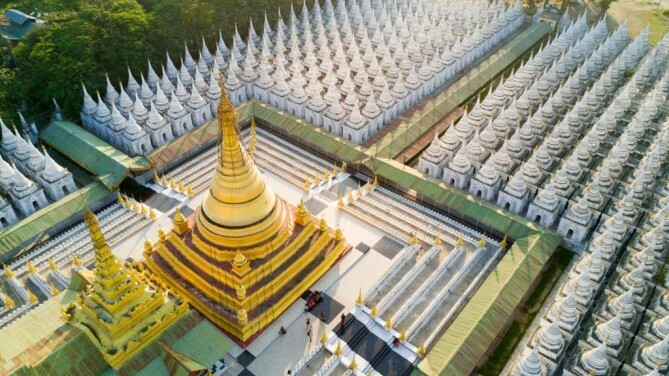 Formed like a large square when it was taken for aerial photograph, the gilded monastery acts as a center surrounded by uncountable small white pagodas. Such distinguished pattern makes it recognizable for one of the places to visit in Mandalay. When the Royal Palace was built in 1857 by King Mindon, so did the Kuthodaw. The outset of the pagoda was a result from the King’s fear of losing the teaching of Gautama Buddha for next generation. The entire texts from Buddhist scriptures or so-called ‘Tipitaka Pali Canon of Theravada Buddhism’, were meant to last forever with the method of huge slab inscription. Countless letters were drawn into 729-page slabs in gold color from the very first intention. As time went by, the gold texts gradually faded away but it has been refilled with simple black ink. While the glory may have vanished, the messages will never fade away and that reflects the concept of King’s Mindon who initiated this 161 years ago. On the East Bank of the Irrawaddy river, a religious edifice was built. 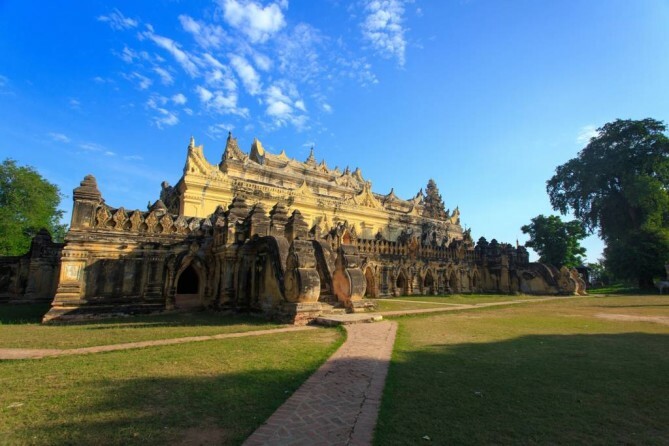 The Maha Aung Mye Bonzan Monastery is a typical example of Buddhist temples in Myanmar during the Konbaung dynasty, especially the stucco sculptures that typified wooden monasteries commonly found throughout. 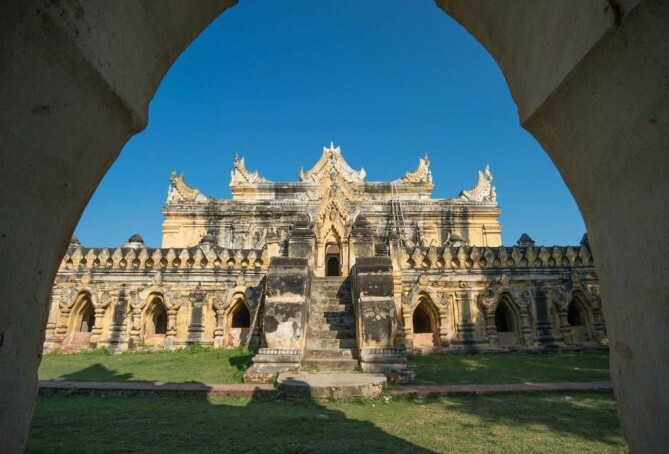 Alternatively known as ‘the Brick Monastery’, the Maha Aung Mye Bonzan was entirely made out of brick. The multi-tiered roofs and materials in making arguably look resembling the wood carvings architecture. As it is the case for most temples in Myanmar, two large Chinthes welcome visitors at the entrance, and at the same time they protect the Burmese according to Burmese mythological lions. The Monastery looks even more mysterious when considering how cryptic of its chambers and pillars were placed. Today, Burmese Buddhist monks make their ritual routines here. The monastery is also accessible by visitors allowing for a glimpse of how their daily practices are like, one of the things to do in Mandalay. Book your flight to Mandalay today! 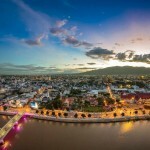 Visit http://www.bangkokair.com/eng/flightdeals/view/mandalay to check flight availability.